Favorite Pages for Confluence Released! StiltSoft team is happy to announce the release of our new app Favorite Pages for Confluence Server. You can use this handy tool to quickly access your top-visited pages. The app continuously tracks your page visits and creates a single list of pages with most visits within the predefined time period. 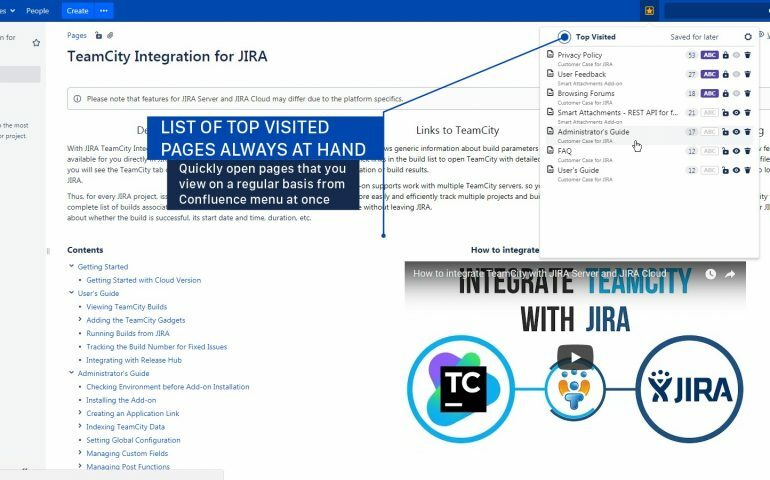 On the Confluence menu bar you can see the star icon which opens the inline dialog with the listing of your top-visited pages. What if you don’t want to track the specific page? You can either click the eye icon and stop tracking it or delete it from the list and clear all visits for this page. If you want to preserve some page on the list, you can lock it by clicking the padlock icon. 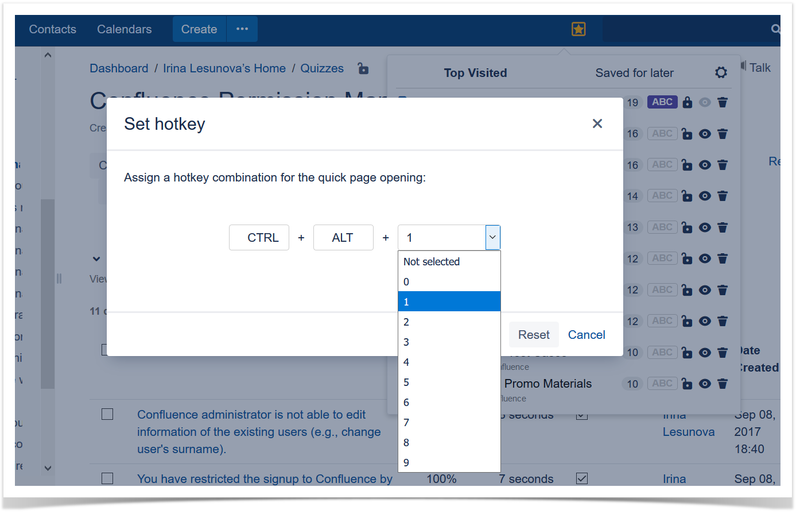 Moreover, you can assign a hotkey to the locked page. You can also quickly access the list of the pages saved for later. Proceed to editing these pages in one click without any necessity to browse through spaces or look for the required page on the dashboard. The Favorite Pages app saves your time on the trivial browsing through spaces and lets you quickly access the pages you have been working. Start a free trial period of our app and share you feedback with us.